I recently did a post on where to start in the world of milk replacements. I was very disheartened and really didn’t know where else to go. From some help on my twitter, it became quite clear that there are some good ones out there. Recently I decided to give a Tesco own brand one a try. It’s cheaper than the Alpro one, so I was nervous in case price really reflected quality or that it was still really similar. Actually, it wasn’t as bad as the Alpro one. It still didn’t taste quite as nice as I would like it to, but I think that my issue is that I keep buying sweetened ones, and therefore my next mission is to try an unsweetened one and see if that makes everything okay. This one looked much more appealing when I poured it out though. It appears much whiter in the glass, rather than a mild shade of brown, it at least replicates the look of milk – helping to trick the mind into believing it that that’s exactly what it is! I still can’t say I really understand the world of milk replacements, as much as I would like to. I haven’t reverted back to normal milk, and that’s always good for cutting down on the amount of dairy that I actually put into my body. However, if I don’t find an actually tasty and fully enjoyable one soon I just might have to give up. Do you know of any unsweetened milk alternatives that look like milk and have a similar kind of consistency too? This one really wasn’t bad, just a little too sweet for me. The saga of milk alternatives is to again be continued. This entry was posted in Food and Drink, Product Reviews and tagged Alpro, alternative milk, dairy, dairy allergy, dairy concerns, diet, Drink, eating habits, Food and Drink, Lifestyle, milk, milk colour, milk concerns, milk consistency, milk cost, milk taste, soya milk, sweetened milk, tesco, vegan, vegetarian. Bookmark the permalink. 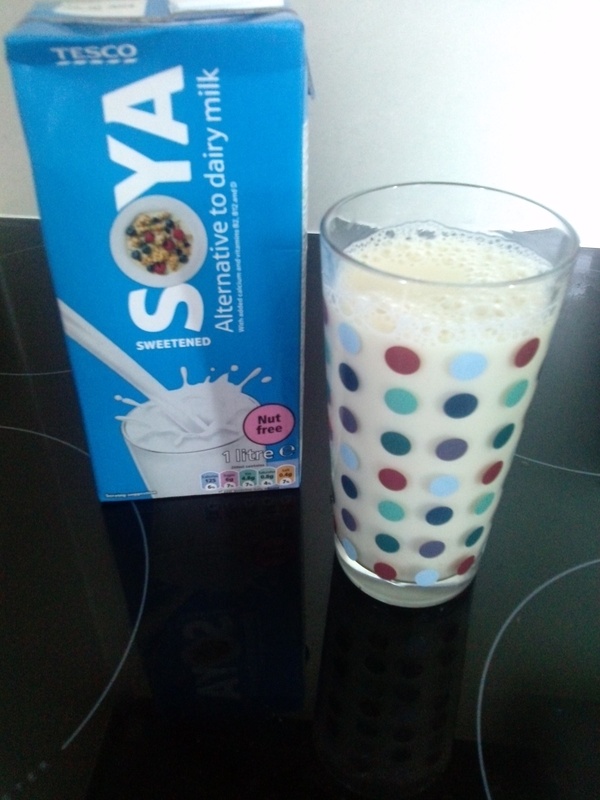 I don’t drink milk straight but I recommend Tesco’s organic unsweetened soy -it’s very good. We used to get the one you tried in this post but I was horrified to discover how much sugar is in it! This one is about £1.09 a carton so it’s a little more but I really think it’s worth it!